I met a mountain today. He was not intimidating but I was in awe as he stood dignified, strong and unperturbed as he spoke about art and spirituality with a level of wisdom incomparable to anyone else I know. This "mountain" was none other than Peter Sanders, a renowned British photographer "who happens to be Muslim" [his own words]. 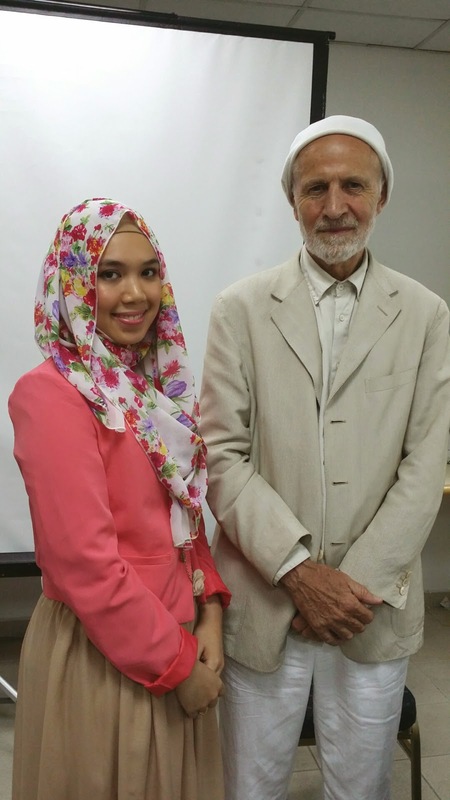 Sanders is currently in Malaysia in conjunction with IRPC's exhibition launch at the Islamic Arts Museum of Malaysia. Today he conducted a workshop and represented IRPC's panel of jury for their "Capture the Spirit of Ramadan" photography competition that will run during Ramadan this year, inshaAllah. Sanders was also a guest speaker at today's symposium featuring Basel al-Misshal and Lina Ali of Studio Basel, the organiser of IRPC's photography competition which is open to all budding and talented amateur photographers and professional photographers. All you have to do is submit a maximum of 3 photos per day during Ramadan and the panel of jury includes the likes of Peter Sanders and Steve McCurry (the man behind the famous Time magazine's "Afghan girl" photo). 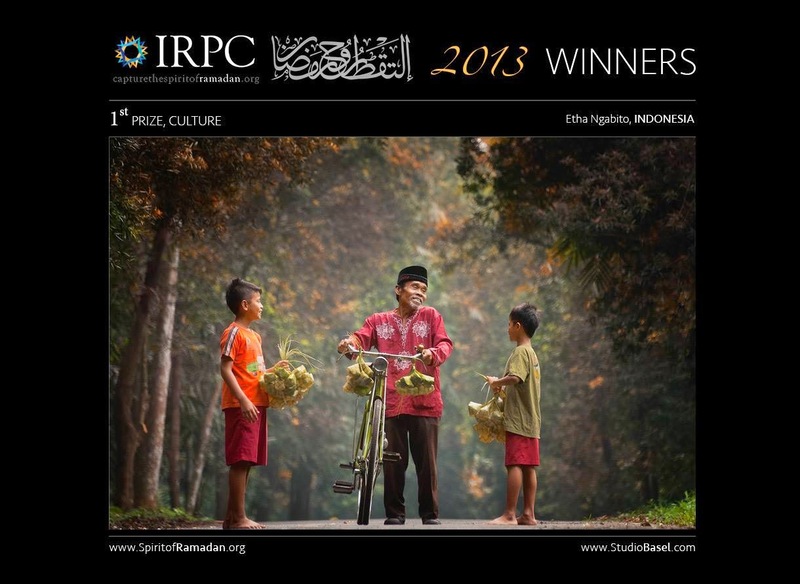 Selected photos will be featured on their social media platforms and the winners' photos will be part of IRPC's photography book and exhibition. Anyway, Sanders began his speech at the symposium by sharing his experience at the Malaysian immigration upon arriving the country. The officers curiously asked him if he was an imam. "Absolutely not," he replied, "I'm a jury for a photography competition. I'm here to see if Malaysia's got talent!" he joked. Charming British humour aside, while listening to his journey towards a career a photography it became clear that it was all destined. He started as a rock and roll music photographer and worked with the likes of Bob Dylan and Jimi Hendrix. In a quest for something more, he turned down a 3-month gig with the Rolling Stones and embarked on a journey to India, Africa, the Middle East and Central Asia to explore the world. During his workshop he said many things that moved me. I could listen to him all day. I felt my heart expand as he shared photographs, anecdotes and musings from his travels, projects and "meetings with mountains". Oh yes, you must be wondering what I mean by that - "meetings with mountains". Peter Sanders is in the final stages of completing his 45 year project called "Meetings with Mountains", inshaAllah. 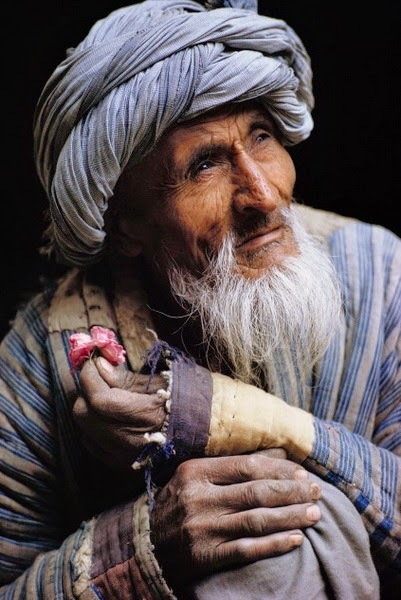 He has photographed a large number of Muslim scholars (shuyukh) mainly from the Middle East, Africa and Central Asia, and documented his experiences with them. It is not always easy to photograph them because they believe in the significance of humility and do not like to create attention toward themselves. Alhamdulillah, incredible things happen when a lot of grace is on your side and Sanders has met and photographed the likes of Shaykh Murabit al-Hajj and Shaykh Abdullah bin Bayyah. He believes it's important to capture images of these illuminated individuals who have been blessed with the nur (light) of knowledge and wisdom because too many negative portrayals of Muslims are represented in the media, especially in the West. "I chose not to do war photography a long time ago. I chose beauty to cure the condition of my heart." "You are not the photographer. Allah is al-Mussawwir. You have to learn to quiet yourself down, be still and amazing images appear... How can anyone say photography is haram? It's only haram when you use it to do bad things. " "A scholar once said that doing your best at what you do can be your spiritual path because that's one of the ways you learn about yourself [how to overcome your weaknesses]." You must watch this trailer about his book In the Shade of the Tree to get a taste of what we experienced today. He also shared the work of some of his favourite photographers, Roland and Sabrina Michaud, and this is my favourite so far. I am convinced that I met a mountain today and he reminded me of my late father. 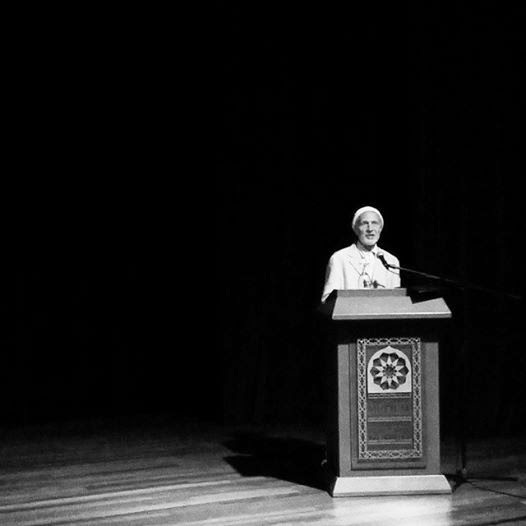 I am inspired and enlightened, and for that I feel extremely blessed, alhamdulillah. Such an interesting person to have met. I shall look for his book, as his story sounds very interesting. Even though I am a Christian, I believe that it's so important in todays society to show people of the Muslim faith in the true and peaceful image that their faith brings them. The media, and the publics own insecurities and uncertainty, too often fuel the hatred that people of true faith are met with. The elderly man with the flower is wonderful. I wonder what he is thinking?